Surrounding the Bitterroot Valley, the Bitterroot National Forest is home to all nearby recreation. Whether you head into the Bitterroots, the Sapphires, or south along the Continental Divide, the Bitterroot National Forest will be your host. Our quiet park-like setting is filled with wildflowers, wildlife and solitude. Enjoy one of our unique B&B suites or our 2012-built Dragonfly Cabin. What can I do and see in the Bitterroot National Forest? Within Montana, the Bitterroot National Forest offers more than 650 miles of trails open to mountain bikes, off-road vehicle and snowmobile use. Another 950 miles of trails provide hiking and horseback access to nearly 300,000 acres of designated wilderness. The Bitterroot National Forest contains portions of the Selway-Bitterroot Wilderness and Anaconda-Pintler Wilderness in Montana along with the Selway-Bitterroot Wilderness and the Frank Church River of No Return Wilderness in Idaho. The Welcome Creek Wilderness also borders the Bitterroot National Forest in Montana. The alpine lakes and streams in the Bitterroot National Forest contain an abundance of cutthroat and rainbow trout. Brown trout migrate up some of the lower streams in autumn to spawn. Fly fishing is a favorite past-time of visitors and locals alike. 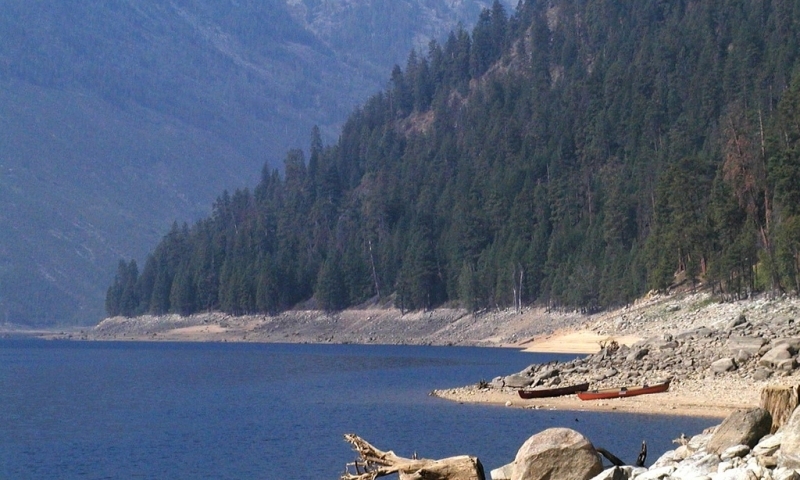 There are 18 developed campgrounds in the Montana portion of the Bitterroot National Forest. Dispersed and backcountry camping is allowed throughout the Bitterroot National Forest. Remember to pack it in-pack it out. 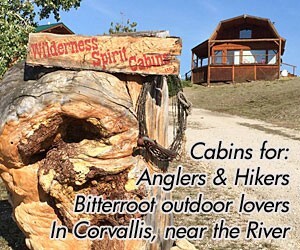 There are several cabins and lookouts for rent in the Bitterroot National Forest. Rustic and primitive, these cabins and lookouts present a unique vacation experience. The Bitterroot National Forest offers world class hunting opportunities for elk, whitetail deer, mule deer, moose, bighorn sheep and rocky mountain goats. Winter activities in the Bitterroot National Forest include alpine skiing at Lost Trail Pass, cross country skiing, snowmobiling and snowshoeing. Where is the Bitterroot National Forest? The Bitterroot National Forest surrounds the Bitterroot Valley. It encompasses the Bitterroot Range to the west, the Sapphire Range to the east, and wilderness areas into Idaho to the south. Visit the National Forest Service website, make a camping or cabin reservation, or call the forest service headquarters at (406) 363-7100.